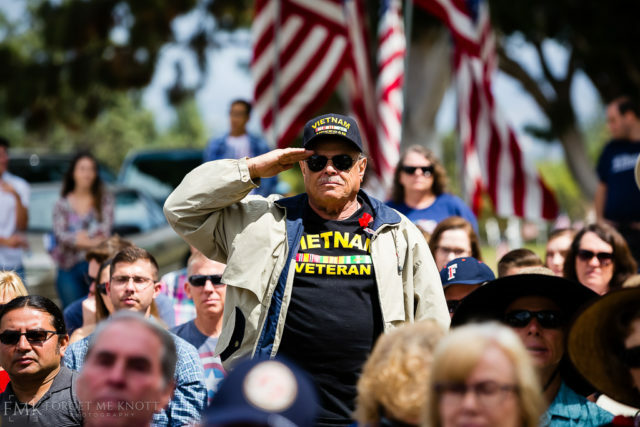 It is my absolute honor to provide photography every year for the Memorial Day ceremony at Loma Vista Memorial Park in Fullerton, Ca. This year was the 80th year of the ceremony. 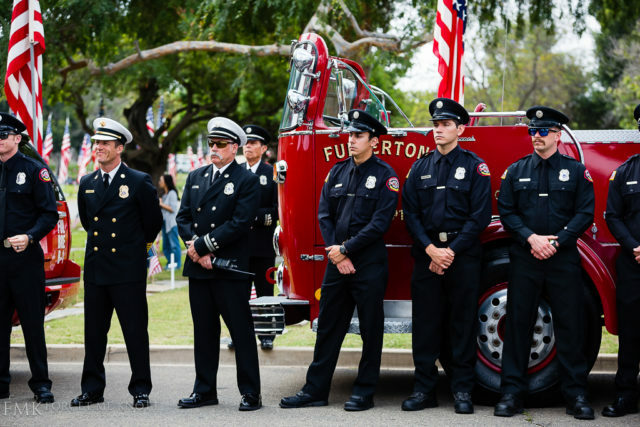 It was a well represented ceremony that included members of the Fullerton Fire Department, the Fullerton Police Department and Mayor Doug Chaffee among many others. 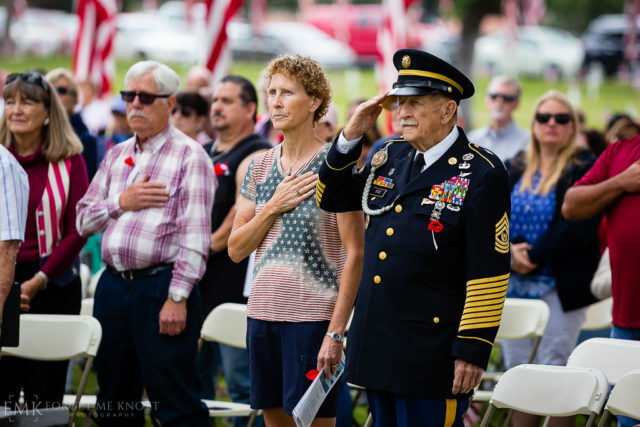 All of the Armed Forces were well represented as well the community at large. 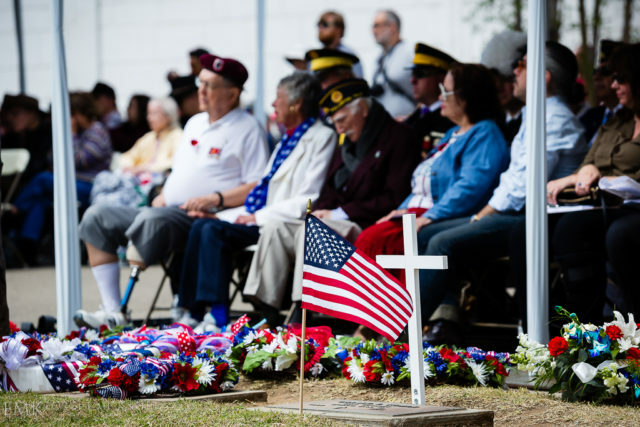 This Memorial Day ceremony is largely recognized across the country as being one of the best. 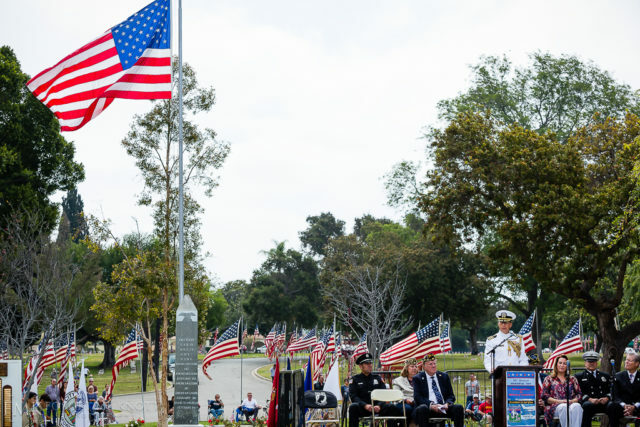 Every year volunteers put up hundreds of American flags over the Memorial Day weekend at the Loma Vista Memorial Park. 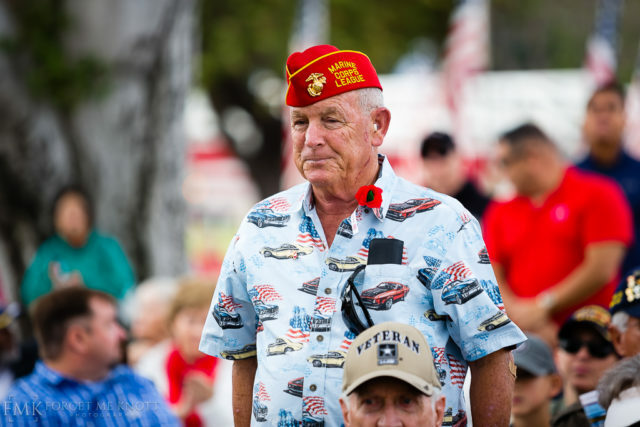 Not just along the roadways but on every veteran's grave site. This young boy greeted the Fullerton Firefighters with handshakes as he arrived. 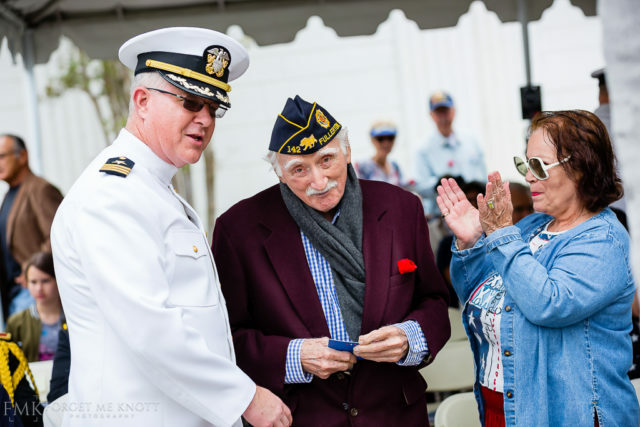 There was a pin ceremony honoring this 100 year old veteran who served in the Coast Guard. 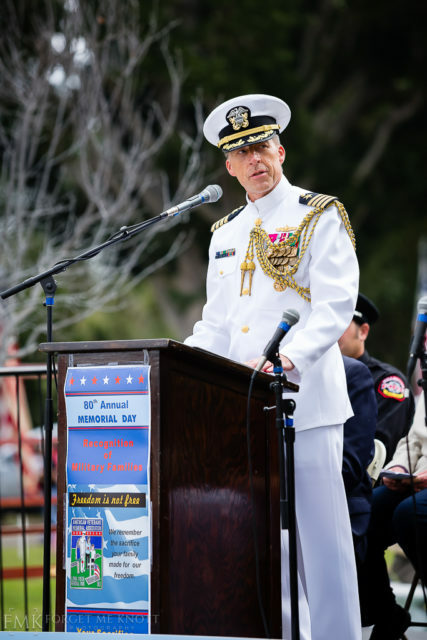 This year's distinguished keynote speaker was Captain Curt Jones, United States Navy, Chief of Staff, Navy Region Southwest, San Diego, Ca. The presentation of colors by a local JROTC. 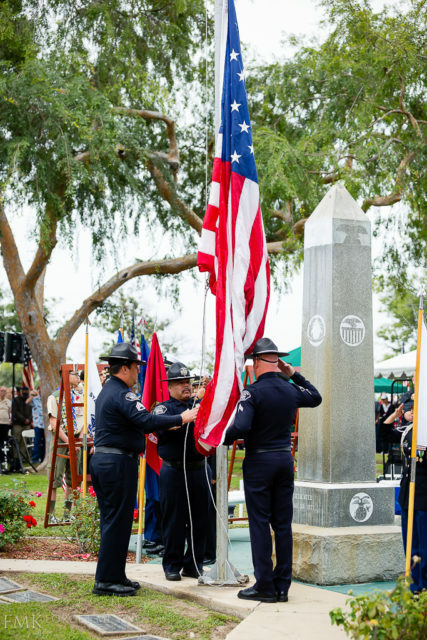 The Fullerton Police Department Color Guard raised the flag as they do every year in a solemn presentation. Every year all of the armed forces theme songs are sung while members stand to be recognized. It is a remarkable spectacle. This year's theme was about family. Captain Jones delivered a great message about the sacrifices that the family has to make. 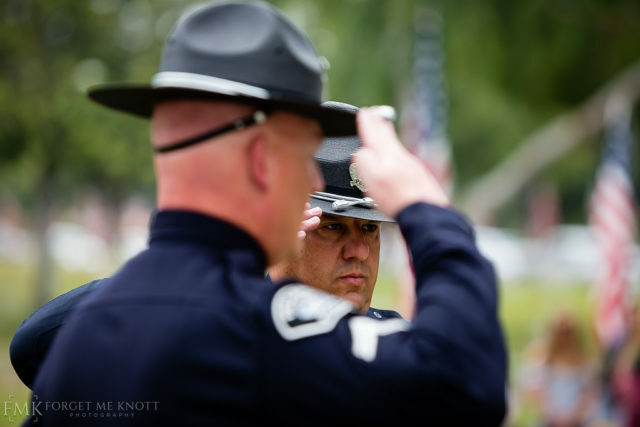 A gun salute by Fullerton Police Department. Nothing can ever prepare me for that first ear-piercing shot. Then "Taps" is played by dueling Trumpets. A truly beautiful end to a great ceremony. Feeling patriotic? The entire gallery of images can be viewed HERE. Do you need photography for your event? Inquire today. You can find more event photography HERE.